Findings: Results describe Sudan’s position among the World countries belongs to its cluster. Benchmark graphs are presented highlighting how the ICT sector performs in economic, social and technical competencies. The discussion of results includes the efficiency and effectiveness, competitiveness, accessibility and affordability, market and services transformation, and the readiness of the ICT market to take an enabling role in socio-economic development. Reference to this paper should be made as follows: Hamdoun, H., Khair, O. M., Ibrahim, O. M. and Adam, M. (2016) ‘A Peep into the ICT Services Ecosystem in Sudan’, Int. 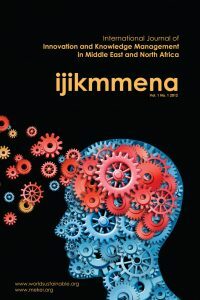 J. of Innovation and Knowledge Management in the Middle East and North Africa, Vol.5, No.2, pp. 81–90.